Our client, a manufacturer of industrial exhaust systems, was looking for a solution for the extraction of hot air at the end of a DeNOx treatment. This treatment consists of the elimination of nitrogen oxides NOx. 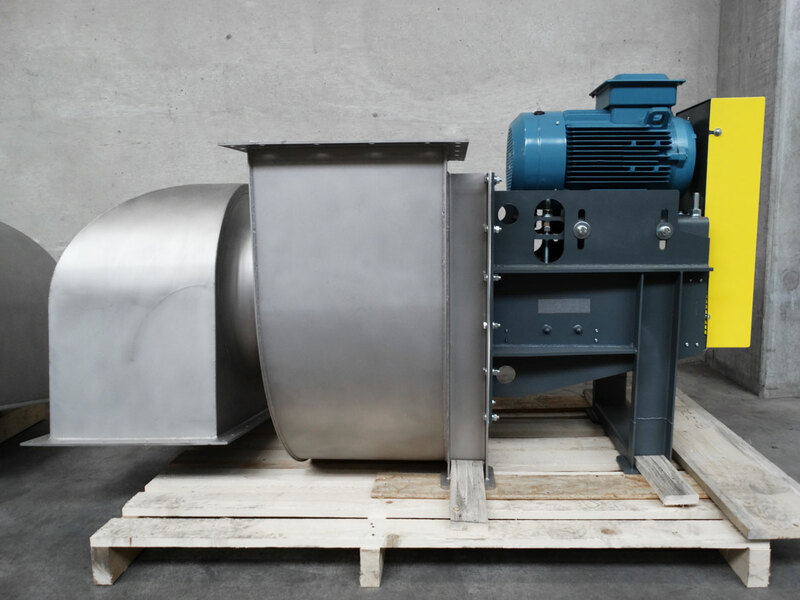 For this application we developed a centrifugal fan of the type CVX. 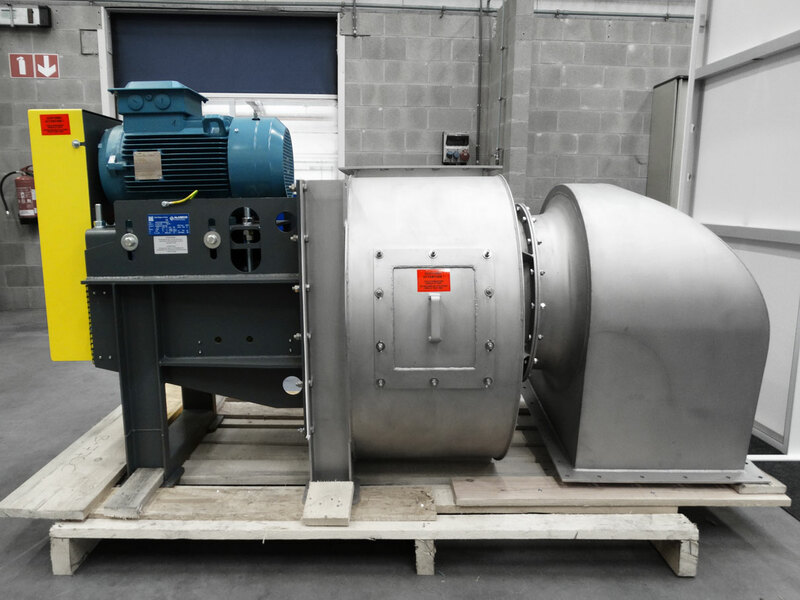 The fan is made of duplex stainless steel to withstand the composition of acid gas and high temperature. The impeller of the CVX fan has a diameter of 500 mm and the motor a power of 22 kW. In order to meet customer requirements, the belt drive design has been made as compact as possible. Do you need a fan that can withstand high temperatures? Do not hesitate any longer and contact us. We will be happy to help you choose the most suitable solution for your requirements.